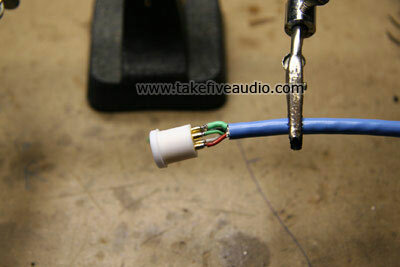 This phono cable recipe is based on the Cardas 4X24 shielded cable. 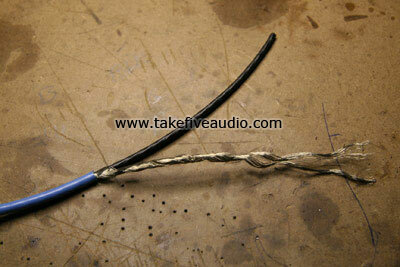 The cable is quite flexible and is an excellent choice for this type of project. 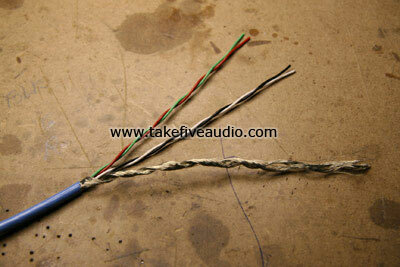 We have constructed this particular cable from all cryo treated parts. 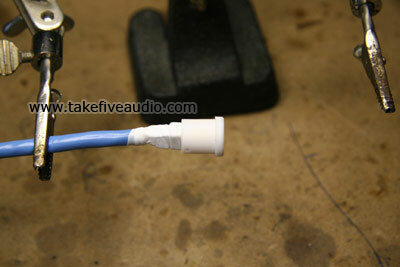 We will start our project by stripping about one inch of the jacket from the cable end to expose the shield. Note the direction arrows on the jacket, they should point away from the DIN plug. Next, pull the shield out of the way and then remove the black Teflon tape exposing the four conductors. 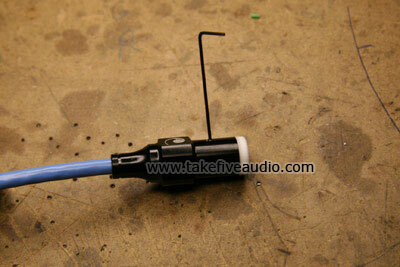 The next step is to prepare the shield and conductors for termination with the Cardas S DIN plug. 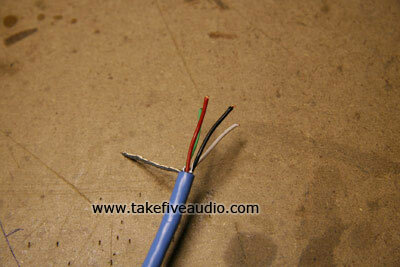 We have cut the conductors to about 1/2" in length, stripped the ends and tinned them with Johnson solder. The shield has been tightly twisted and then a small piece of Green CPX 100 1/16" was slipped on to confine the strands and reduce the possibility of a short. The next step will be to solder the prepared conductors to the Cardas S DIN. The correct pinout for this connector can be found here. We used Red for right +, Green for right -, White for left +, Black for left -. After the solder connections have been made we cover them with a few turns of Teflon tape before installing the back shell. Slide on the back shell and install the locking screw with the hex key Take Five Audio provides. Now we move to the opposite end and trim about 100 mm of the outer jacket and unwrap the shield. 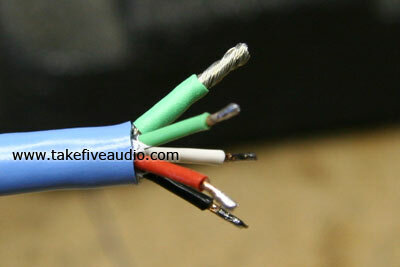 Next carefully remove the black Teflon tape and separate the four conductors into Red/Green and Black/White twisted pairs as shown in the photo below.